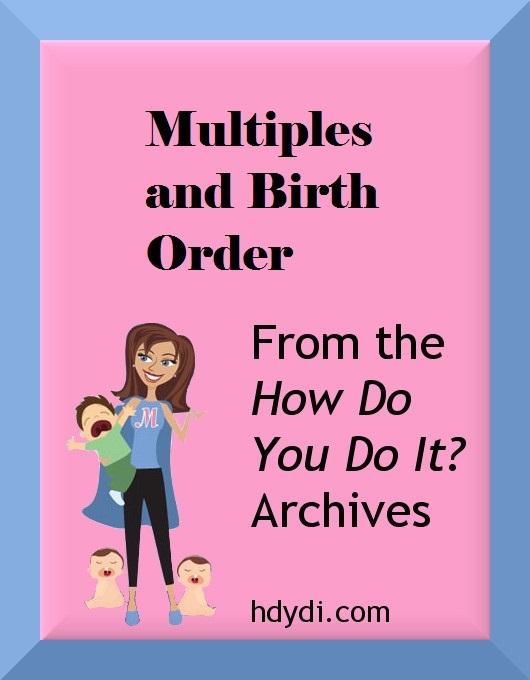 birth order Archives | How Do You Do It? Some parents of multiples proudly discuss their children’s birth order, even engraving their A and B birth status into their names. Others go to great lengths to avoid telling anyone which child was born first. For some the decision is personal, for others it is a cultural norm, and for yet others, there’s no decision to be made because they never really thought about it. 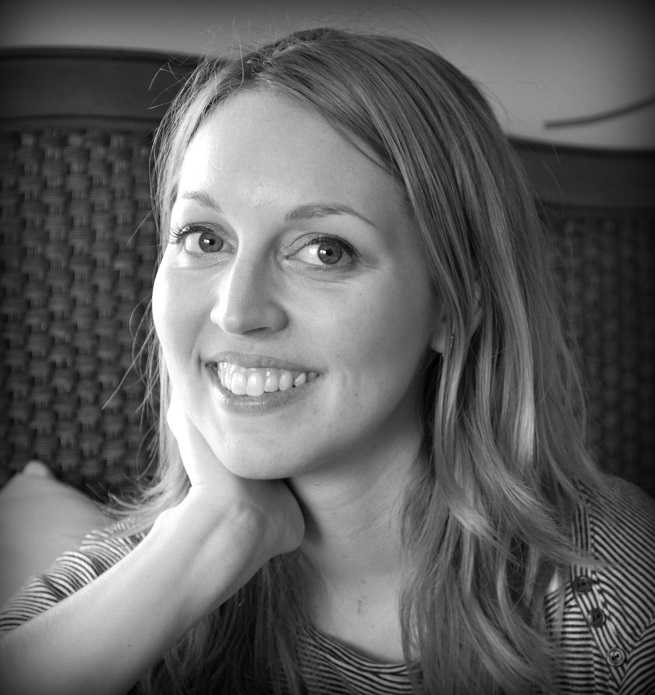 The Mystery of Multiples and Birth Order: Krissy talks about our cultural assumptions of the effect of birth order on family dynamics and wonders about varying perspectives from MoMs. 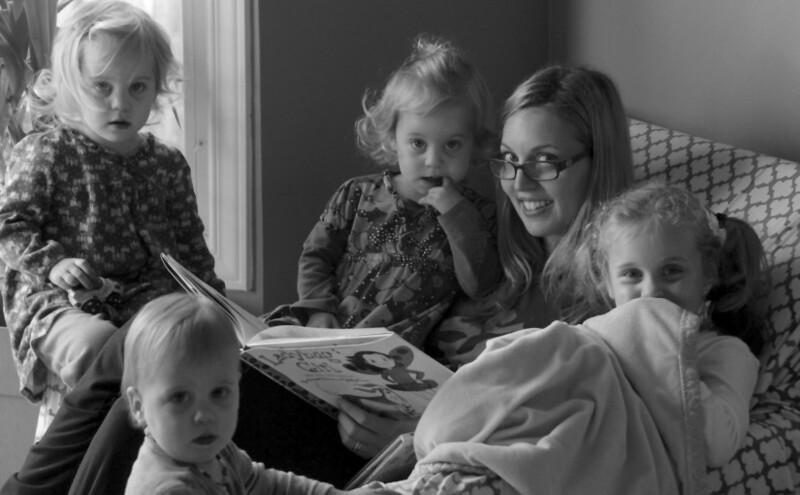 Differentiating Between Multiples: Jenna found herself labeling her twin daughters as “big” and “little” and gained some empathy with those outsiders who feel the need to label our children in opposition to one another. 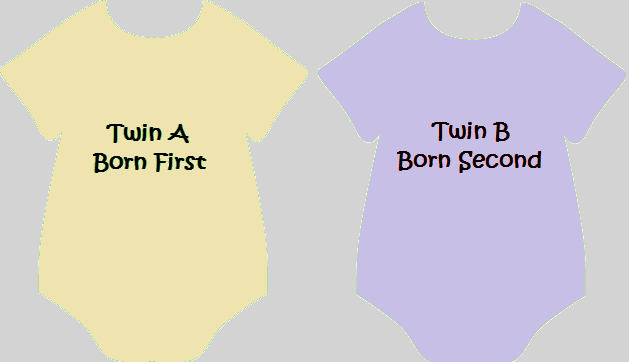 Which Came First: Reanbean has grown increasingly bothered by strangers insisting on knowing her twins’ birth order. “Afu ge ge”, “Leila mei mei”: Natasha Devalia doesn’t want to emphasize which of her twins is “older,” but it’s unavoidable in China. Multiples and Age Hierarchy: My refusal to tell people which of my daughters was born first messes with my Bangladeshi family’s hierarchical view of the world. And the Older One Is …: My girls surprise me when I can no longer avoid telling them who was born first. Birthday(s) for Two: I tell one daughter what time she was born, necessitating a discussion with both my daughters. I remind the girls that they’re the same age from conception and that womb eviction doesn’t make J any older than M.
Who’s Older? Mercedes believes that birth order plays a role in personality development, but not for multiples. What happens when twins are born 87 days apart? Clearly, they’re still twins, but are they the same age? Do your kids display traits related to birth order? Do you see birth order as applicable to multiples? J was pulled out of my body a full 2 minutes before her sister M, because it was her amniotic sac that had ruptured while M’s remained intact. I’ve avoided telling the girls who was born first, because people automatically assign birth order stereotypes to children. They expect the older one to be more mature, more responsible, sometimes even smarter. That makes sense, I suppose, for kids born at different times. I know from my own experience that being an older sibling makes you grow up and take responsibility. 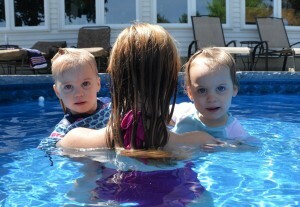 My children are the same age as one another. The random order in which they were removed–by C-section, mind you–from my womb shouldn’t dictate how people see them. They’ve got enough stereotypes to contend with being identical twins. One day, though, my Grand Plan for Birth Order Question Response stopped working. I was distracted, filling out paperwork in a waiting room, while several garrulous women pushed J and M for an answer on who was older. I heard J say, “She’s older,” and turned to see her pointing at M.
I thought this was the beginning of the end. All the birth order stereotypes of the universe were going to descend on my daughters and smother them. As in most matters of parenting, I needn’t have worried so much. 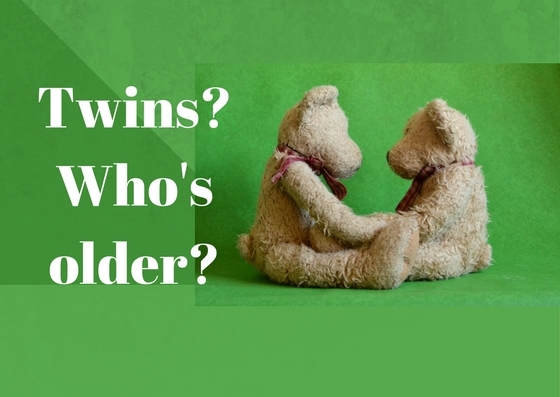 Do your multiples know their birth order? Are their personalities typical of the older child/younger child dynamic? Sadia overthinks her parenting decisions in Austin, TX, where she takes a break from single mommyhood by going to her full time job in higher education information technology. My ex-husband and I decided early on not to tell the girls who was born first, because we thought that introducing an older-younger sibling dynamic to our twins’ relationship wouldn’t be healthy. Reanbean has written on this topic on HDYDI before. His question is a practical one. Kinship terms in Bengali hang on birth order. A paternal uncle who is older than your father is your Chacha; one who is younger is a Kaka. A younger sibling calls an older brother or male cousin Bhaiya, while the older sibling just uses the younger’s name. The female older sibling term is Apa. I recently learned that I’ve been committing a major faux pas by calling my brother-in-law Dula Bhai. Since he’s married to my younger sister, I should refer to him by name even though I’m younger than he is. My refusal to label my daughters as older and younger has really messed with the family order on the Bangladeshi side. I feel for my cousin’s son and his confusion. I’ve been calling my brother-in-law the wrong thing for 3 years now. 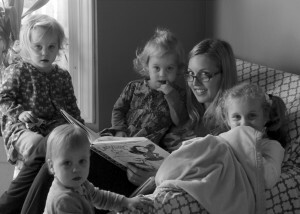 Not long ago, I found myself unable to deflect the birth order question. I’ll tell you how it went another day. The result wasn’t the one I’d expected. Sadia is a single mom of 6-year-old monozygotic girls living in Central Texas. "Afu ge ge", "Leila mei mei"
“Which twin is older?” The question is absurd. In China, I get it all the time. And it works me up. “They are twins. They are the same age.” I reply, irritated. I don’t want to impose birth-order stereotypes on L and R; they are born 7 minutes apart. When L joined us at home, 3 weeks after R, Maher and I both unintentionally spoke to Rahul referring to Leila as his little sister. It was more in the sense of endearment and physical size than of age. But we quickly realized that it was untrue, and imagined implications of such labeling. We stopped. When we returned to Chengdu from Hong Kong 5 months after the birth, our ayi (nanny) would tell R, “Look, Leila mei mei is sleeping. Why don’t you sleep as well?” I was upset. Drop the comparison, that issue is for another post. 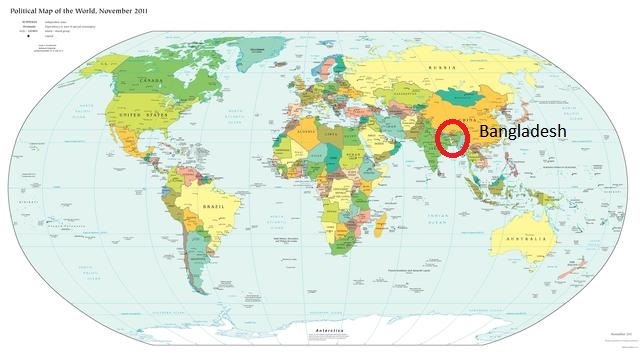 I firmly asked the people close to us – ayi’s (nannies), Chinese friends – not to use ge ge and mei mei; but to refer to Rahul and Leila as Rahul and Leila. Initially, they considered my request strange. I was interfering with cultural norms and habits. I insisted. They complied, at first with an uncomfortable smile, and probably a thought of how the lao wai (foreigners) always do things strangely. Now, they don’t hesitate. I’ve heard our ayi herself telling people in the street – “How can one be older? They are twins.” And if pushed she says, “I don’t know who was born first,” and then she looks at me to save her from the situation! When we go downstairs to play with the other kids in the complex, mums often tell their children, “You are her older brother. Let her play with your toy.” In China today, it’s rare that a child has a brother or a sister; so mum is usually referring to her child’s playmate. L and R may not know any of their friend’s names, but they know who is older and who is younger than them. L and R were obviously beginning to understand what people say. I realized that unless they use the words describing their relationships, they won’t be able to refer to their friends or themselves in an understandable, and respectable manner. I am impressed that they know the words, and maybe the meaning. I don’t think they understand what the words imply in relation to each other, but they know that’s who they are. Other than it being a naming issue, it is a cultural one. We live in China, L and R were born in HK, and speak Chinese, so it only makes sense that they follow the social and cultural norms when engaging in society here. Now, when people in the street ask me the question, I answer straight up, R ge ge and L mei mei. Still some days, when I am in a feisty mood, I refuse to answer. 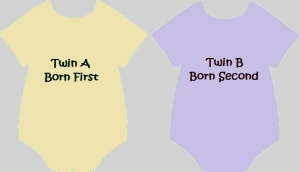 At home, with ayi’s and friends, we stick to L and R.
How do you answer the question, “Which twin is older?” If you have older twins or multiples, what are their thoughts on this? Natasha, mum of Leila and Rahul was an Ashtanga Yoga teacher until her little yogis became the teachers. You can find more of her thoughts and stories at Our Little Yogis.